I had a good surprise today! God is always throwing fun curve-balls in this game, just to keep it interesting! We received an unexpected monetary donation today. Totally out of the blue…from a total stranger…a guy in Maine! Cool! His donation included a phone number, email and a note saying he had 2 wheelchairs he wanted to donate! Wow! 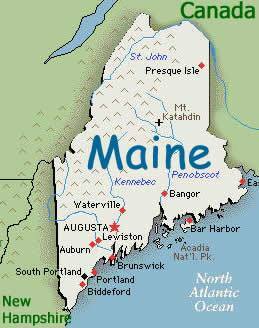 First thought through my mind (After “COOL”) was, “HOW FAR AWAY IS MAINE?” Google says 1434 miles! MARK 10:27: With God, ALL things are possible! I emailed him, after which, I received a phone call. Our new friend saw a PSA (public service announcement) we did on a Christian hunting show – Final Descent Outdoors He went to our website and decided to donate! Its stuff like that, and all of you who collect, and the stories you relay to me that makes this whole thing so fun! This entry was posted in Uncategorized on January 5, 2016 by bclarkmission.